30 years of experience have substantially contributed to the development of the new generation of sound velocity sensors. The new sensors offer two types of sensing elements: a fork-type L-Sonic 5100 and a tube-type L-Sonic 6100. They are ready for various applications, such as inline concentration measurements, interface detection, or product identification. The sensors continuously monitor the product quality of liquids during production. The concentration is directly calculated and can be displayed by the optional HMI of the new Pico 3000 transmitter. An outstanding repeatability of 0.005 m/s (fork type) is achieved by digital signal processing - without averaging the signals. A temperature compensated crystal oscillator provides the most accurate time base to measure. A powerful microcontroller generates and shapes the sound pulses and performs digital signal processing on the received response. The implemented algorithms ensure measurements with the highest accuracy. 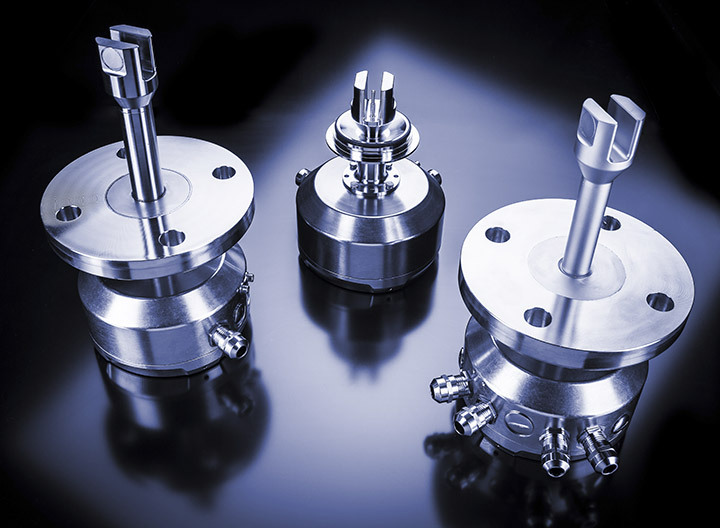 The L-Sonic 5100 with VARIVENT® connection is EHEDG certified and thereof suitable for hygienic applications in the beverage and pharmaceutical industry. By including the optional Pico 3000 process instrumentation controller, which can be equipped with a Pico 3000 HMI (human machine interface), no additional evaluation and/or operating units are required. That saves space and enables data management directly at the point of measurement. L-Sonic is prepared for use in hazardous areas. Due to its wetted materials it is suitable to cover a wide range of applications from material-friendly, non-corrosive medias to highly aggressive acids and bases. The high wall thickness of the electronics housing and its strong direct connection with the sensing element forms a robust unit which enables the sensor to have a long working life under harsh conditions.